Christmas is a very busy time in most households. There are gifts to buy and wrap, food to prepare and eat, and close and extended family to invite round and visit. However, there is one member of the family who might not be having the most magical time: your dog. 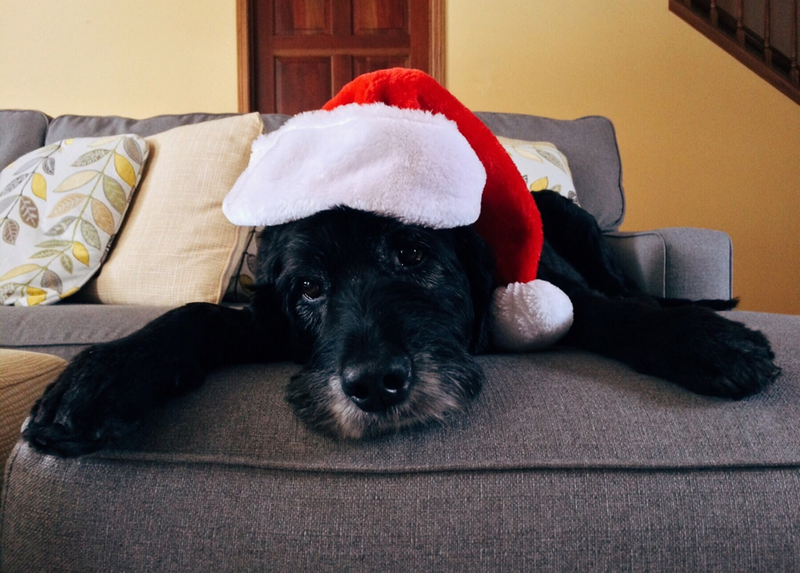 With all the comings and goings and an irregular schedule, the festive season can be confusing for your furry friend, and they might begin to feel stressed as result. 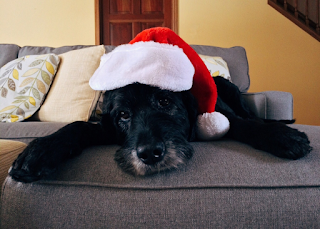 Thankfully, there are a few things you can do to make your dog's Christmas as stress-free as possible, and we’ve listed several below. Read on to find out more. Dogs, like humans, are creatures of habit. But, while we can make an exception for the festive period, our furry friends can't. For example, if you decide to go for a spot of spontaneous Christmas shopping during the time you'd usually give the dog their dinner or go for a walk, they are going to be left confused as to why their routine has suddenly been switched around. Instead, try to think ahead and do your best to plan Christmas around your dog. This doesn't have to completely set in stone, but giving your pet some structure will help them avoid becoming stressed. If you know you're going to be super busy for a few days and won't be able to take the dog out for a nice, long walk, ask a friend or relative if they'd step in. Should everyone else you know be busy, you could always try a dog sitter or a dog walker through Gudog, a service that matches local dog professionals with owners in a jam. Christmas is the time when you catch up with all your friends and relatives, so there will probably be a host of faces passing through your door. Many dogs have a happy-go-lucky personality and are glad to accept strokes from just about anybody, but there are also a few who shy away from new people and retreat into their shell. You'll know how comfortable your dog is around strangers the best so, if you know they can become nervous at the sight and scent of newcomers, it's best to prepare a space they can feel safe in. Put their bed, water bowl, and favourite toys into a quiet room and ask your guests not to disturb them if they head in there to chill-out. It's vital your dog feels safe and secure, so providing that environment over Christmas is essential for keeping them totally de-stressed. You might not realise it, but there are quite a few hidden hazards to be found in traditional Christmas decorations. Artificial trees are usually the best choice for dogs, as they have none of the sharp, mildly-toxic needles that can get stuck in paws or eaten. You should also look to avoid glass ornaments or baubles as they could cause similar issues if they fall and break. If you plan on using edible decorations, you might want to think again, as chocolate is highly toxic to dogs. Tinsel is also hazardous, as the strands can cause internal injury if eaten. For more expert advice on dog-dangers to watch out for around Christmas, be sure to watch our Keeping Dogs Safe at Christmas vet advice video that will keep you well informed. Around New Year, the UK tends to explore its fascination with fireworks, which is bad news for dog owners. The loud noises can put our furry friends on edge so, if you know there will be a local display or one of your neighbours is planning on enjoying a few, it's best to prepare and practice some understanding of your pet's fear. Dogs can become very skittish when a firework goes off, so make a point of going for a walk earlier in the day when there is a less chance of a loud bang causing them to slip their lead and run away. Before you head out, make sure that your pooch's details are up to date on their microchip just in case the worst should happen. You can do this by logging onto your chip provider's website — all the UK registered databases are listed by Dogs Trust. Make sure all your windows, doors, and curtains are closed. And, if there is a room in your home that is more insulated from noise outside, it might be best to set your dog's bed up in there. It's well worth taking a look at Millbry Hill's guide to keeping pets safe during firework season as it contains extensive and detailed advice for both dogs and other animals. Take care of the furry member of your family this Christmas and make sure they don't get stressed by following our tips. Then, all that's left is to enjoy a healthy festive season together. How do you choose your dog food?